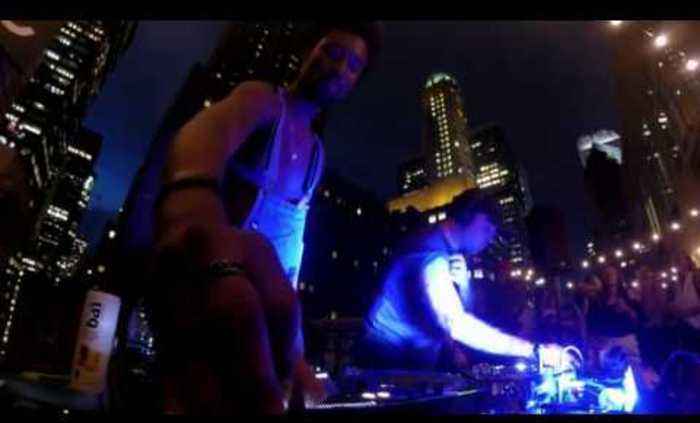 Subscribe to DJ Mag TV: http://bit.ly/Oduqwo The Knocks are a New York story through and through. They met as 19-year-old college students, late one night in a studio at the New School. Ben Ruttner, known as “B-Roc,” DJed clubs as a PM day job, and James Patterson, known as “JPatt,” played the organ at a church outside the city. Working out of their bedrooms, The Knocks remixed Jay-Z’s entire American Gangster album in two days, calling it American G- Funk. With remixes for Katy Perry and Passion Pit soon following, the Knocks were declared one of the "20 hottest producers in music" by NME and quickly became synonymous with a certain warm, retro-future, disco-kissed touch. Future stars like Ellie Goulding and Icona Pop took note of the Knocks, asking them to produce for their own projects. They put our their first big hit in 2010 with the filter-house party anthem “Dancing With the DJ”, and toured the UK with Sleigh Bells and DJ Shadow. Opening for Ellie Goulding on her US debut tour in 2011 and playing the main stage at Ultra in 2012, B-Roc and JPatt were a bridge between the indie dance world and the mainstream market. In 2014, they hit a touchstone with “Classic,” a seductive track that whips up the sun-drenched sense of endless celebration. Fetty Wap jumped on for a guest verse, as befits the way the Knocks style synthesizes anything with energy: hip-hop, soul, house, disco and pop. Their new album 55 (March 4, 2016 release) is a resolutely DIY dance album that pulses with the heart of the city. It opens with none other than Cam’ron, Wyclef Jean comes out of nowhere, Carly Rae Jepsen takes a house diva turn, and Alex Newell aims his high range like a trigger in SPIN's Best-101-of-2015 pick "Collect My Love". It’s an album laced with disco magic and hiphop flow; it’s built for a crowd, but first it has to pass a bar that’s internal. “Would I spin this?” the Knocks still ask each other, every time they cut a track. They’ll be spinning this one for years.